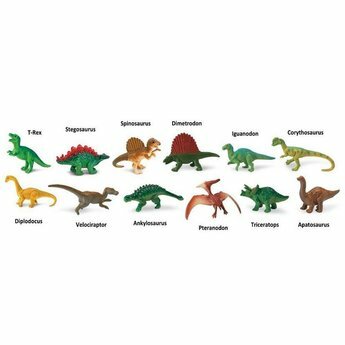 This Toob includes an Apatosaurus, Triceratops, Iguanodon, Dilophosaurus, Stegosaurus, Ankylosaurus, Tyrannosaurus Rex, Dimetrodon, Velociraptor, Spinosaurus, Diplodocus, and a Pteranodon. Characteristics: Now you can hold some of the largest herbivores and most terrifying carnivores the world has ever known in the palm of your hand with our immaculately hand painted and true to life figurines. 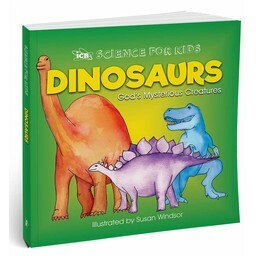 Make sure you have a lot of fresh meat and greens ready, because these dinos can eat a lot! 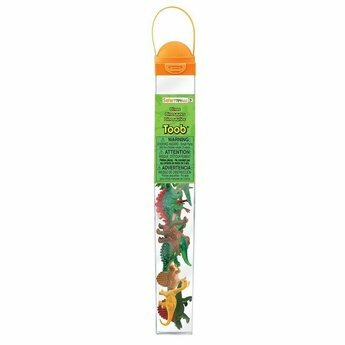 Size and Color: 1.5 inches long, 1.5 inches wide, and 12.8 inches tall, this Toob is a bit larger than the size of a standard American ruler and contains 12 different dinosaur figurines that range from 1.25 to 3.75 inches tall. Contrary to popular belief, dinosaurs were actually very colorful, as seen by the Dimetrodon’s forest green body and blood red fin. Note: Non-toxic and BPA free. Total Shipping Weight: 8 oz.